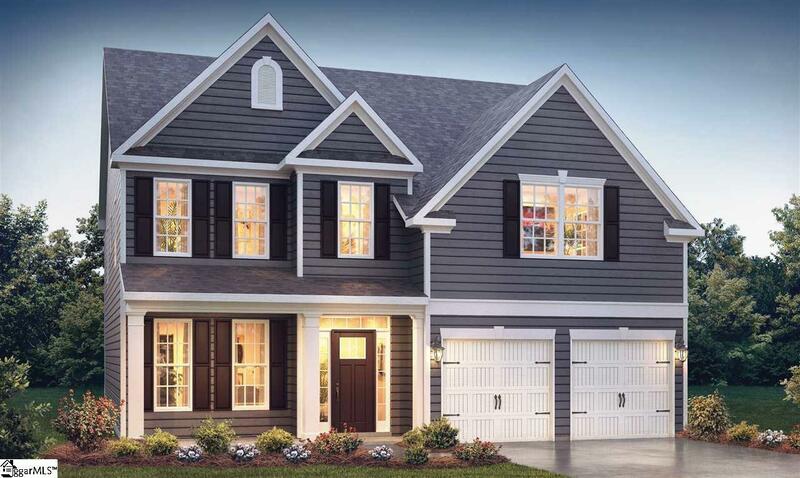 The Fleetwood floor plan is a spacious home offering 4 Bedrooms, 3 baths, 2 Car Garage at 2,558 Sqft. Entering this home theres a dramatic 2 story foyer and Formal Dining Room. The Chefs Kitchen is complete with Granite Counter-tops, Large Island with seating, Recessed can Lights and Stainless Steel appliances. Gleaming 5" hardwoods throughout the first floor main living areas. Chair Rail and Wainscoting in the Foyer and Formal Dining Room, and double crown molding throughout the main level. The Great Room with a GAS fireplace features a wall of windows overlooking the backyard. 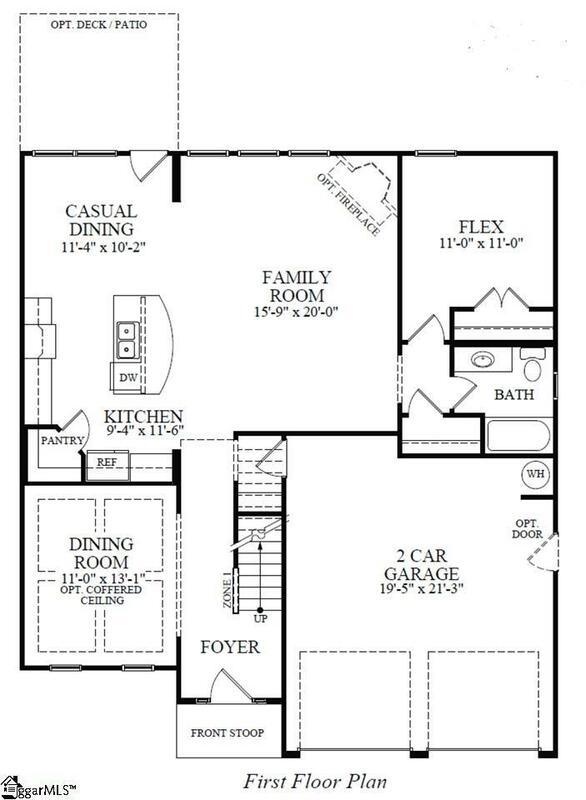 A flex room or 4th bedroom and full bath are located on the main level. Upstairs you will enter through double doors into the Owner's Suite with Trey Ceiling. The Owner's Bath has a oversized Tile Luxury Owners Shower along with access to the Walk-In Closet. 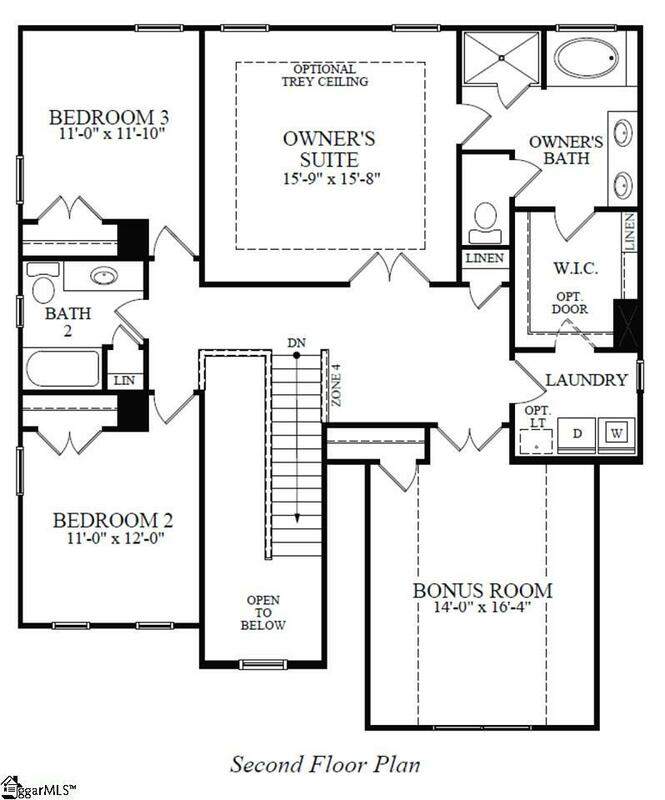 2 other bedrooms and a large bonus room round out the upstairs. This home is complete with an oversized 2 car garage and lots of great built in energy saving features. 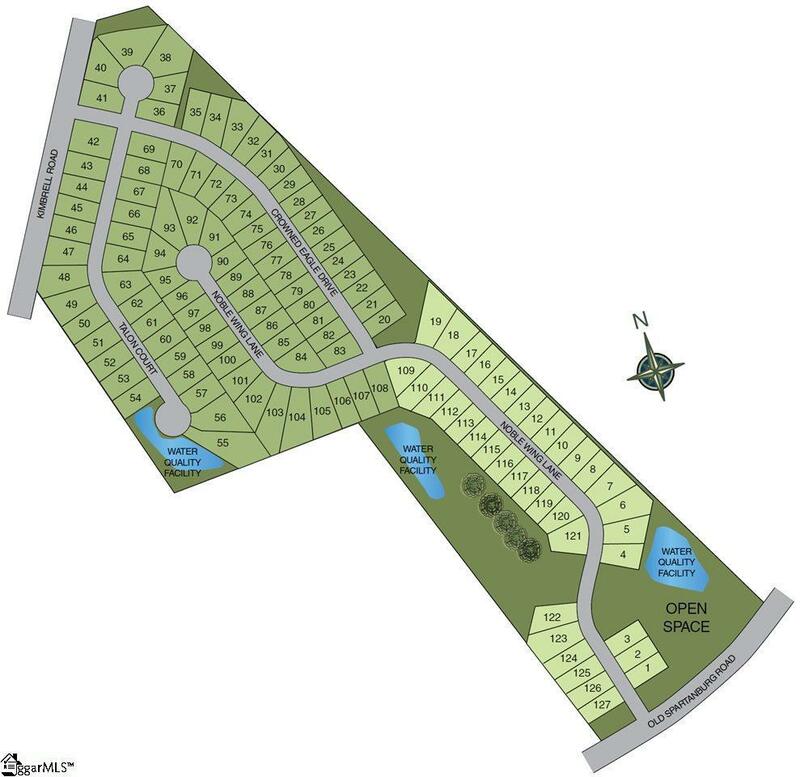 Eagles Glen is Conveniently located at Greenville Eastside which is close to everywhere. St. Francis and Patewood Medical Campus, Haywood Mall, Magnolia Park, Downtown Greenville, Greenville Spartanburg Airport, Paris Mountain, I-85, and I-385 to mention a few, are all within 7-12 minute drives.